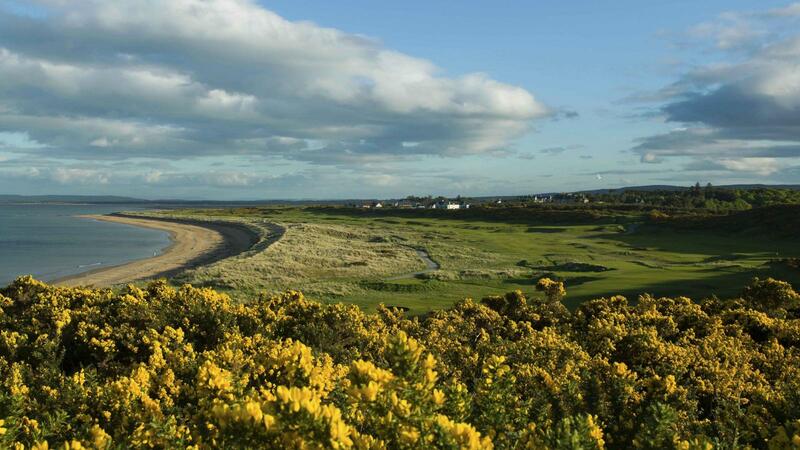 As you play over the classic links land that borders the Dornoch Firth, you will be awed by the wild magnificence of the sea, sky, mountains and ancient grass-covered dunes while having every shot in your bag tested. The golfer on the Championship Course is presented with 18 holes each of character and challenge that can be recalled to mind long after the round is completed. The first 8 holes are played along the upper level of ancient duneland before the golfer retraces his route at beach level. The whins which line the fairways, and which blooms in late Spring, punishes wayward shots. Raised or sloping greens are characteristic, as well as elevated tees so the target is well presented although rarely easy to reach.